that has been updated many times since it was initially published. Can you believe that was 2 years ago? Despite delayed VMware driver availability after the launch of Xeon D, it sure has been clear ever since that Intel continues to actively develop this 10GbE driver. 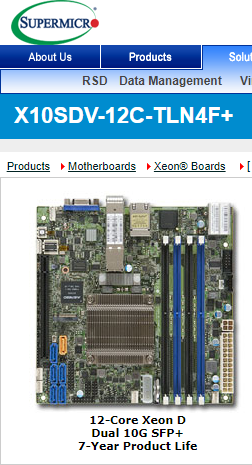 It’s noteworthy that the Xeon D platform includes motherboard designs with a 7 year design lifespan. This same driver is also for the X540 AIC (Add In Card) PCIe card, like the one I picked up on eBay to migrate data quickly off an old, non-Xeon D system I occasionally still use in my home lab. My 4.5.3 testing is completely documented, including step-by-step guide to exactly how I located the proper download, unpacked and uploaded the VIB, held there to allow the https get method for very easy installation. The process appears solid, but only time and further testing will determine whether the driver 4.5.3 works fine for my 10GbE home network. Stay tuned! Finally, I want to highlight that there are several very relevant articles that are likely of interest to you to read, check out the hand-curated list below, in chronological order.